A federal appeals court today dealt a setback to the Trump administration’s broad effort to rollback environmental regulations. 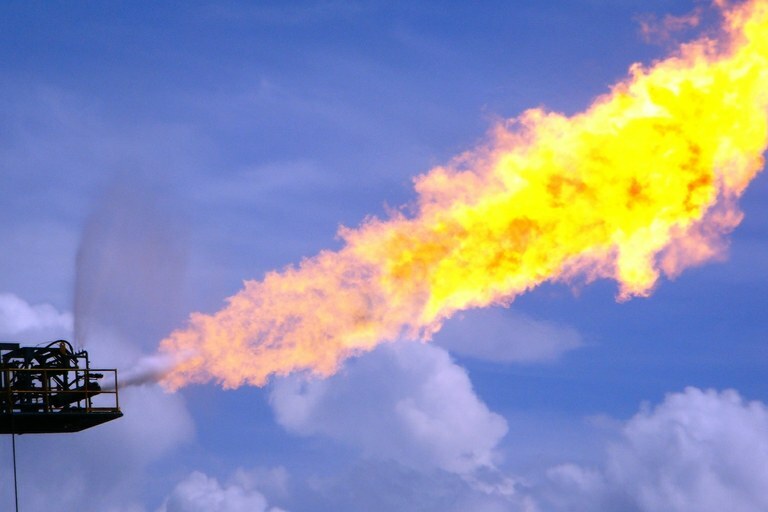 The U.S. Court of Appeals for the District of Columbia Circuit blocked the Environmental Protection Agency’s 90-day delay on an Obama administration rule that requires the oil and gas industry to find and clean up leaks that send methane into the air. The decision reinstates the methane rule but will not end its peril. EPA administrator Scott Pruitt last month proposed delaying the rule for two years while his agency goes through the process of permanently rewriting the rule. Under the EPA’s Methane rule, the industry had until June 3 to detect leaks on new and modified wells and then 30 days to fix them. Then industry has to detect and repair leaks four times a year. Methane is a potent greenhouse gas and the EPA’s methane rule was part of President Barack Obama’s wide-ranging agenda to fight climate change. In an executive order in March President Donald Trump directed his agencies to rescind or rewrite any rules that “unduly burden the development of domestic energy resources.” Pruitt cited that order when announcing plans undo EPA’s methane rule. In general, the Administrative Procedure Act requires agencies to go through a full rule-making process to rescind a rule. That means they have to draft a proposed rule and take public comment before writing a final one. That takes many months. With this and other rules, the Trump administration has tried to temporarily delay them while going through the longer process of erasing them. Environmental and public health groups hope that courts will reject other efforts by Trumps’ agencies to temporarily halt Obama rules designed to protect health, safety and the environment. The EPA also delayed implementation of rules designed to tighten the health-based standard for ozone or smog, cut methane emissions from landfills, protect farmworkers from pesticides, reduce risks of chemical accidents and cleanup toxic discharges into waterways from the wastes produced by coal fired power plants. Other agencies have followed similar strategies of delaying rules while they seek to rescind or rewrite them. The Interior Department last month, for instance, suspended another rule designed to curtail methane emissions from the oil and gas sector, and the Labor Department delayed rules requiring companies to track workplace injuries and illnesses.